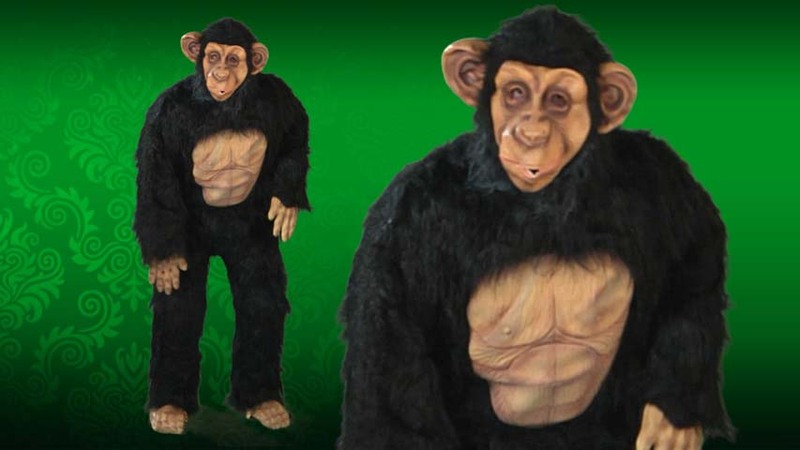 This costume will make you the life of the party!!!! You tend to be the life of every party you attend—a real extrovert with a social calendar that could rival any A-list celeb. Last year, alone, you made over a hundred new friends on social media! It’s no surprise to us, then, that you’re drawn in some primitive way to the playful chimpanzee: boisterous, smart, and prone to lively group gatherings. Chimps, after all, are some of the most social animals on Earth. 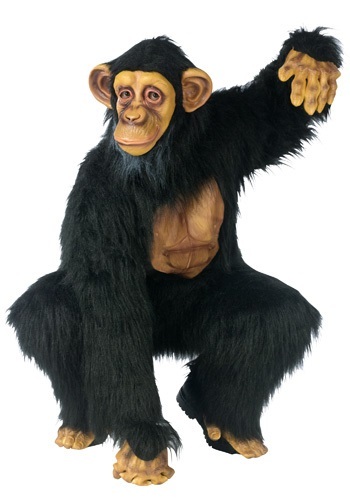 By wearing this Adult Chimpanzee Costume, you’re showing just how natural a fit you are for your environment: tonight’s big bash! Call it animal magnetism, if you will, but no one, I mean NO ONE can resist befriending the guy or gal in the monkey suit. Trust us, we’ve done extensive field research on the matter. Whether you lounge casually by the snacks, gathering treats into your dexterous hands or you climb the stairs to seek out your pals, you’ll befriend every partygoer you pass. So go ahead and knuckle walk through the halls, hi-five your crew, or just hang from the banisters—your highly evolved sense of humor and style will draw crowds to you all night long. That’s because rather than hiding your identity, the latex hands, feet, and mask help your wild personality shine—no one could mistake your signature laugh, even through all that synthetic hair. When your antics are done and it’s time for a rest, find a spot on the sofa and persuade a pal to pick your faux-fur free from debris—that way this costume will be clean enough to wear to tomorrow’s shindig, and the one after that! I like the costume. I have found that its kinda hard to breathe with the head on and see. But I can't wait to wear it for Halloween. Make sure your costume came with a right and left foot mine had two right feet. But they fixed the problem right a way . Im very happy with it.